Are you hyped for the last season of the Game of Thrones? The series, known for its dramatic twists and magnificent landscapes, has captivated audiences around the world. It’s amazing to think that there are real life locations that do such an incredible job of bringing the world of George R.R. Martin’s imagination to life. This #GameOfThrones location is near Castle Ward, just an hour south of Belfast. A must visit to any GoT fan! By going to these locations you too can explore the real life Kings Landing. Walk through the Royal Palace Of Dorne. Strike out North of the Wall. From Northern Ireland to Morocco, here are the best places to tour the real life locations of the seven kingdoms of Westeros. Warning: there are some light spoilers in this post so beware if you’re not caught up to the current season! (And really, if you’re not, better get on it! You have less than week before the last season premiere!) Also, note that the majority of these tours, much like the show, are not appropriate for young children. Belfast is home to many of the sound stages that house the larger interior sets for the Game of Thrones. 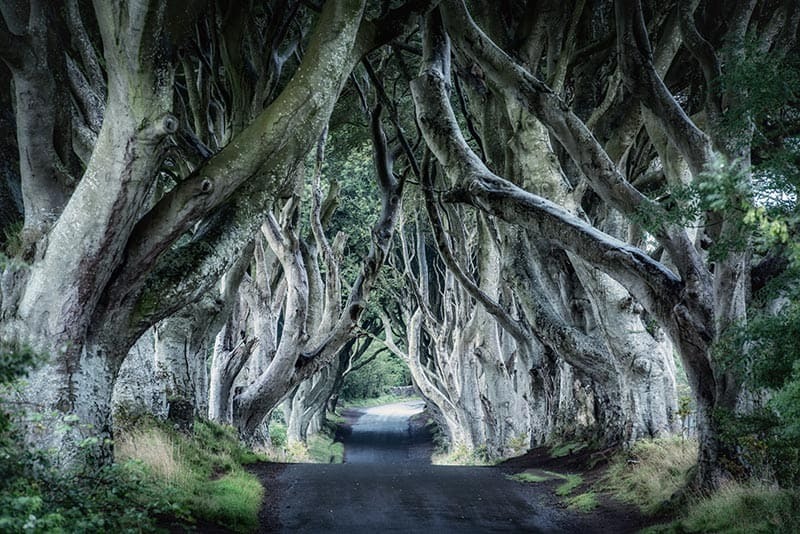 While these studios are not open to the public, due to its proximity, the majority of the on-location shoots were completed around Northern Ireland making Belfast a must visit for the Game of Thrones fan. Do your best Arya impression as you walk through the Dark Hedges, explore the Cushendun Caves where Melisandre of Asshai gave birth to her ‘shadow assassin’, visit Dunluce Castle used as the exterior of the House of Greyjoy, and so many more locations. In addition to all the Game of Thrones locations, these tours also take you to Northern Ireland’s only UNESCO World Heritage Site, the Giant’s Causeway. While Northern Ireland was used for much of the temperate regions of Westeros, the warmer regions were filmed in warmer Mediterranean locations. 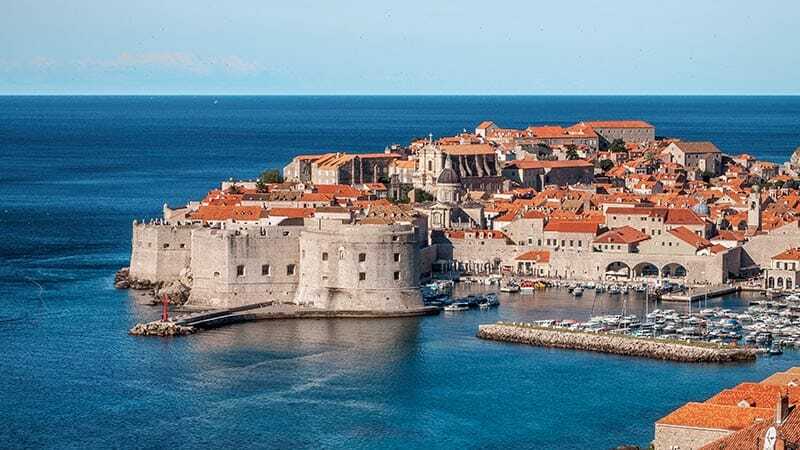 No world tour of Game of Thrones filming locations would be complete without a visit to Dubrovnik, Croatia, aka King’s Landing. The Old City of Dubrovnik itself is a UNESCO World Heritage Site and is worth exploring even without its association to the Game of Thrones. Explore Dubrovnik’s Old City and wander through where iconic scenes from the series were filmed. Alternatively, opt to see King’s Landing from the water as well and sail on the Karaka which was used by Daenerys Targaryen in the series. The city of Split, Croatia was used in seasons 4, 5, and 6. Explore the historic city of Split on this Game of Thrones tour that takes you inside Diocletian’s Palace, the private mansion of the Roman emperor Diocletian and a UNESCO World Heritage site. 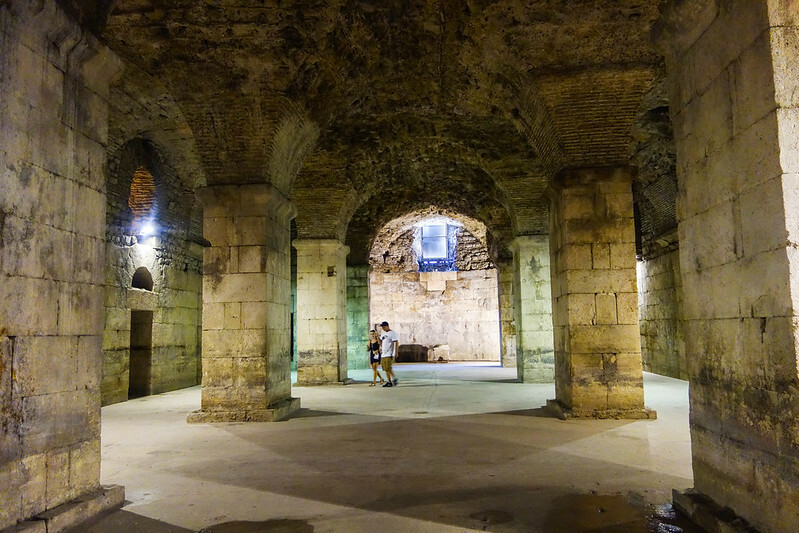 The cellars of Diocletian’s Palace were used as the setting for where Daenarys kept her dragons in season 5 and the site where the Meereenese slaves from season 4 lived. If one country could sum up the idea of “fire and ice” that would have to be Iceland. Starting in season 2, Iceland was used as a location for many iconic scenes featuring the frozen wastelands of northern Westeros. 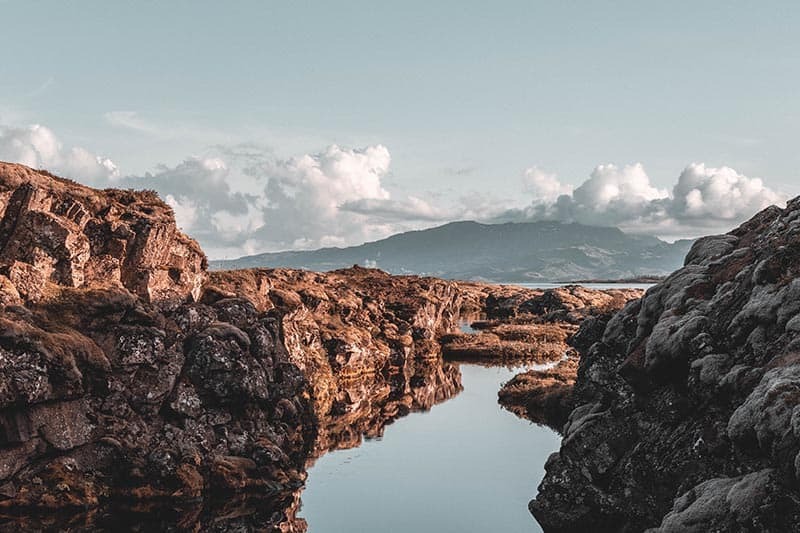 Keep your eyes out for White Walkers in Þingvellir National Park, a UNESCO World Heritage Site and feel what it’s like to be north of the Wall. Follow in the footsteps of Sansa and Arya Stark on their separate journeys. Relieve the Wilding’s invasion south of the wall. And while you’re in Iceland, don’t miss out on exploring the rest of the Golden Circle and taking a soak in the Blue Lagoon. 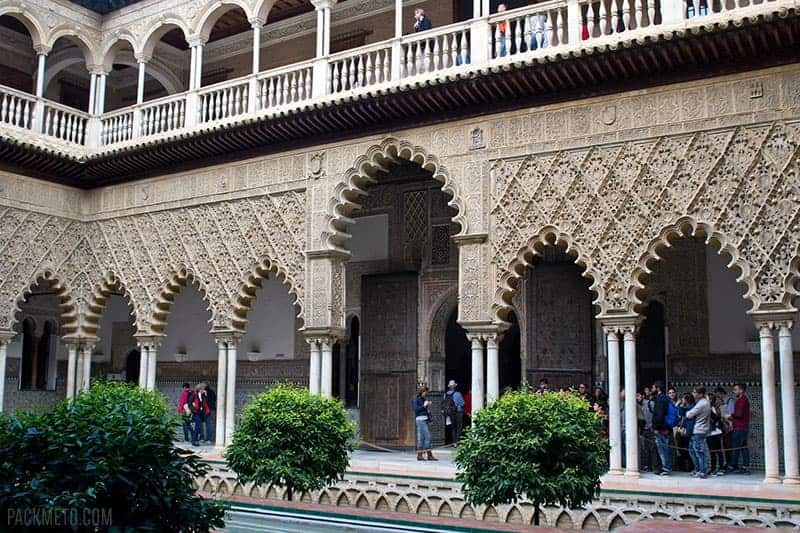 The Alcazar of Seville was used for scenes in Season 5 of Game of Thrones where the Royal Palace stood in for Sunspear, the capital of Dorne and its Water Gardens. This UNESCO World Heritage Site is worth a visit regardless, but while touring the palace, don’t miss the Mercury’s Pool and the Grotto Gallery; the Ambassadors´ Hall; the Baths of Maria de Padilla; and the gardens which were all featured in the show. In nearby Itálica, tour the city’s Roman Amphitheater which was used as the backdrop to the Dragonpit of King’s Landing and it is said that the amphitheater will appear again in this upcoming season. Other locations in and near Seville featured in the Game of Thrones include the bullring of Osuna standing in for Danzak’s Pit in Meereen city in season 5 and the Atarazanas (Royal Shipyards) which were used to recreate the crypts of the Red Fortress in season 7. 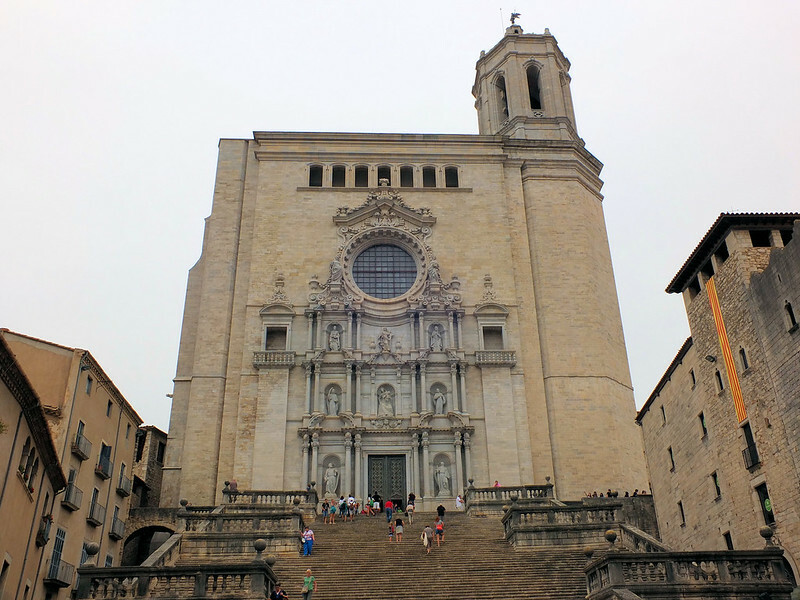 Located north of Barcelona, Girona would make an ideal day trip for the Game of Thrones fan. The city was used as the backdrop of the OIdtown and as parts of King’s Landing and Braavos in Season 6. See how the city was turned into these locations and explore some of Giorna’s most well known landmarks like the city’s Old Town, its Jewish Quarter, the Cathedral of Santa Maria, and the Monastery of Sant Pere de Galligans. From Barcelona, Girona is 1.5 hours away by car or a 40 minute train ride. Alternatively, there are tour options that leave from Barcelona as well if you prefer to not stay a night in Girona. Starting from Marrakech, these tours will take you to Aït Benhaddou, an UNESCO World Heritage Site and popular filming location. Before it served as a location for Game of Thrones, the Aït Benhaddou was also used in films like The Mummy, Gladiator, and Babel. In the Game of Thrones series though, it was used as the backdrop for the cities of Yunkai and Pentos where most of the scenes with Daenerys Targaryen were shot in season 3. 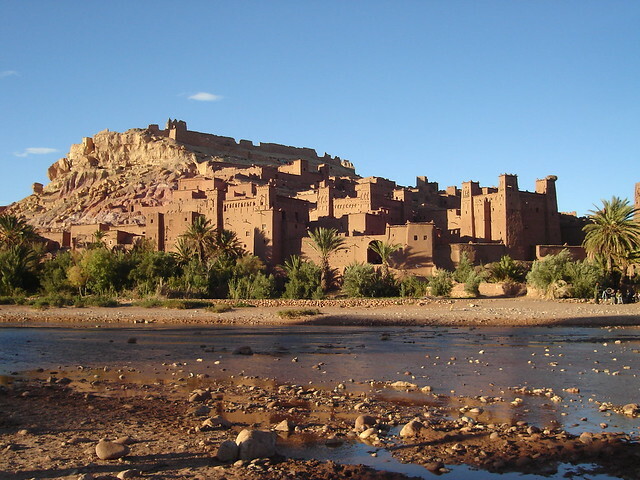 Move on to nearby Ouarzazate which also served as the background for Pentos. To get there from Marrakech, take in a breathtaking drive through the Atlas Mountains, northern Africa’s highest major mountain pass reaching heights of 2,260 metres (7,415 ft) above sea level. Have you been to these places and experienced them from a Game of Thrones perspective? Tell me about it in the comments!